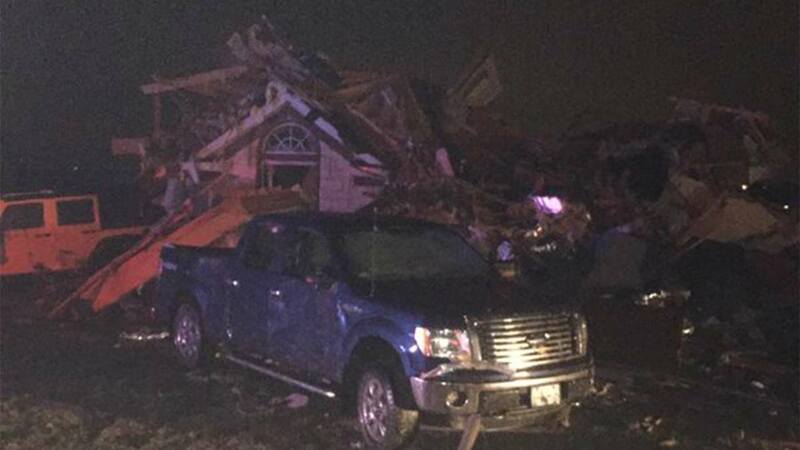 DALLAS, TX -- Five people were confirmed dead in the Garland, Texas area, outside Dallas, after tornadoes and severe storms tore through the area, Garland Police said. Cops also said that there were numerous injuries and that there were numerous buildings destroyed, but more specifics were not immediately available. The hardest hit area was by I-30 and police said that it appeared that victims were in cars that were blown off of the highway onto the service road below. Tornadoes swept through after dark on Saturday evening causing significant damage while a blizzard was blanketing parts of New Mexico and West Texas with snow, the latest in the nation's freakish winter weather pattern that sent temperatures plunging to near zero wind chill in the western Plains even as numerous record highs are forecast for the eastern U.S. The Texas tornadoes shifted the national focus away from the Southeast where days of tumultuous weather including tornadoes left 18 people dead over the Christmas holiday period. 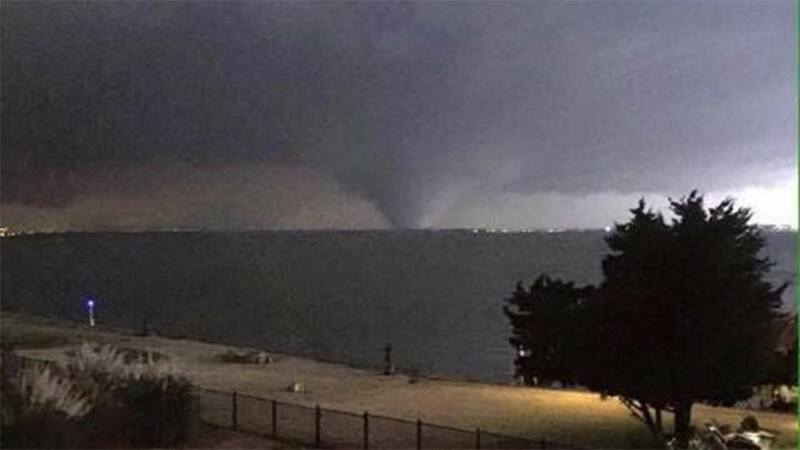 National Weather Service Meteorologist Anthony Bain in Fort Worth said two or possibly three tornadoes touched down in the Dallas area although the full extent of damage would not be known until daylight Sunday. WFAA television in Dallas showed video of damage to homes, a church and vehicles stretching from Garland, about 20 miles northeast of Dallas to Glenn Heights, 20 miles south of the city. The emergency manager of Ellis county south of Dallas, Stephanie Parker, posted on twitter: "We have destroyed and damaged homes. Please do not get out on the roads if you do not have to." An official with the Dallas County Sheriff's office says deputies are responding to damages caused by a tornado east of Dallas, including a trailer park ablaze. Urbina said the extent of the damage was still uncertain but that nearby roads had been shut due to debris and that the damage to the homes was likely extensive enough to render some "inhabitable." The Red Cross was also responding to the scene, she said, and trees were down.